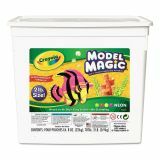 Crayola Model Magic Modeling Compound, 8 oz each/Neon, 2 lbs. Self-hardening modeling compound is soft, clean and can be colored with paint or markers. Less waste with individual packets. 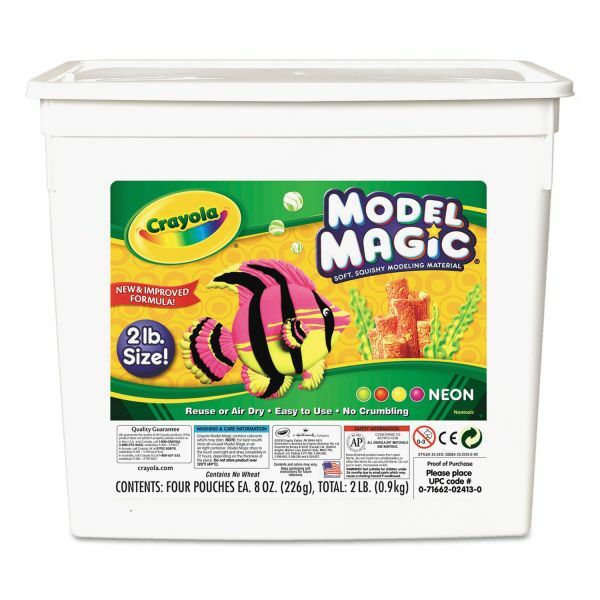 Crayola Model Magic Modeling Compound, 8 oz each/Neon, 2 lbs. - Use this ultimate modeling material for a wide range of hands-on learning projects and sculpting activities. Neon colors can be blended by mixing colors thoroughly or stop mixing part way to create marbled effects. Model Magic is great for teaching color theory and for creating colorful three-dimensional projects. It air-dries to a smooth, resilient finish. Resealable plastic bucket contains four neon colors: Radical Red, Yellow-Green, Laser Lemon and Shocking Pink.